Oh, to be a crow in Tuscany, land of the rolling hill and the ever-winding road. Your destination is glimpsed long before you reach it, particularly if it is a hilltop town such as the multi-towered San Gimignano. For 10, 15 or even 20 minutes it will be tantalisingly close, almost within reach, but then the hill will dip and the road will twist, snatching it from view once more. A pain in the neck is a concomitant penalty for those who choose to explore Italy’s most fabled wine region by road, but who can afford a helicopter in the post Celtic Tiger era? There are compensations, however, many of them. 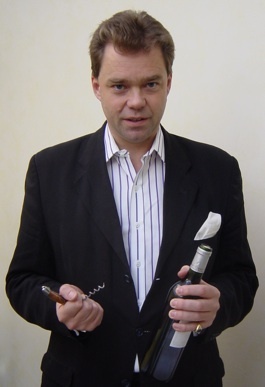 I have always said that the only way to get to know a wine is to visit the region whence it comes. It is remarkable how, once you put your feet on the ground, what was previously a jumble of confused and half-remembered names and classifications resolves into something approaching comprehensibility. In this respect Tuscany could confuse a chess grand master but once he visited he would soon abandon the cerebral tedium of the chequerboard for the more sensual delights of the dining table. Such as the one at Capanelle (www.capannelle.com) where the routine winery tour is kept mercifully short so as not to intrude on the lunch hour. They make some superb wines here, including an impressive Chardonnay with tingling freshness overlaid on firm minerality. The star at lunch, however, was the Chianti Classico Riserva 2010. Made from 100 per cent Sangiovese this was light-textured yet intense, in short, a textbook Chianti that other producers could learn from. It was accompanied by a splendid ragu – and when seconds were offered, who was I to offend the chef? They have a handful of comfortable bedrooms at Capannelle also, as do an increasing number of Tuscan wineries, mindful of the burgeoning desire amongst wine lovers to go in search of their favourite wines’ roots. Capannelle doesn’t lose sight of the fact that it is winery first and an overnight destination second. 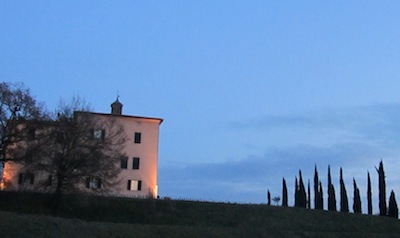 Some do, and are luxurious to the point of sybaritic excess, such as Castiglion del Bosco (www.castigliondelbosco.com) and Il Borro (www.ilborro.it), both owned by various scions of the Ferragamo dynasty. The former comes complete with its own golf course and some tasty Brunello di Montalcino, though both are overshadowed by the sheer luxury of the accommodation, where you can be pampered and primped to within an inch of your life in the spa, before undoing all the good work in the restaurant. 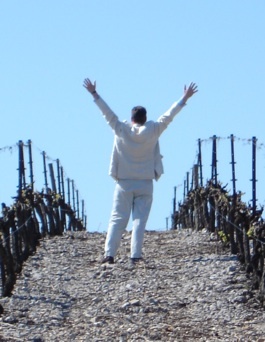 Wine tourism could hardly get more alluring. Until you get to the latter, that is, which comes complete with its own village, indeed it IS a village, the main villa of which is available for rent at €8,000 per night. 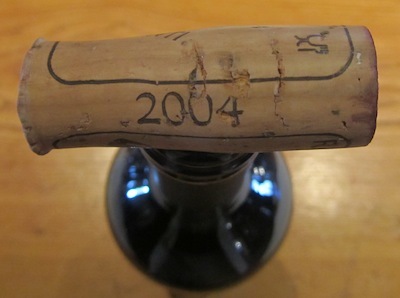 Again, the wines have to play second fiddle to their surroundings, though the Polissena Sangiovese IGT 2009 has good texture and some depth, rounded out by a pleasant fruity freshness. There has never been a better time to visit Tuscany and dozens of ‘wine resorts’ now vie for the oeno-tourist’s attention. Daddy of them all is probably Castello Banfi (www.castellobanfi.it) a huge producer with accommodation to rival any of the above. Also worthy of note is Dievole (www.dievole.it) something of a sleeping giant as yet but new owners seem determined to rectify that. At a less exalted and hence more affordable level is Fattoria il Cerro Montepulciano (www.saiagricola.it/tenute/tenuta_cerro.htm) whose hilltop location commands magnificent views in all directions. Exploring by car can be taxing, yes, but the reward at the end of each day – in the shape of a good meal and a comfortable bed at your chosen wine resort – will soothe frayed nerves. Then throw away the car keys and revel in the bounty of Tuscany. It was the Marchese Incisa della Roccheta who put the Tuscan coast on the map when he planted Cabernet Sauvignon at his San Guido estate in the 1940s. The wine was eventually commercialised as Sassicaia by his nephew Piero Antinori and the rest… Today, Sassicaia has been joined by many others including Castello del Terriccio in the Montescudaio DOC. The Terriccio wines are some of the most attractive in all Italy, beautifully balanced and seductively flavoured blends that major on Cabernet Sauvignon and Merlot, with Sangiovese, Syrah and Petit Verdot in support. Seek them out. 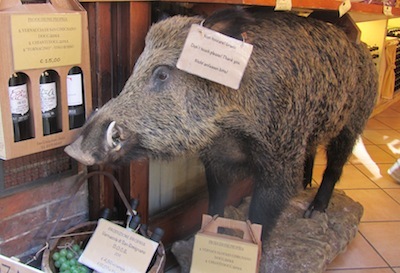 Say ‘ching-gaal-ee’ and the locals will know that you are calling for wild boar, though there is no need to, for you will already have been served a delicious plate of pasta soused in boar-based ragu, such is its ubiquity in these parts. Which is down to the fact that a few decades back hunters introduced eastern European boars to boost the national stock and they deliver much bigger litters than the natives. There are now far too many of them and they pose an on-going threat to agriculture, though restaurant diners can revel in the bounty – that is, until they tire of it being on every menu. Article originally published in Food & Wine, October 2013.